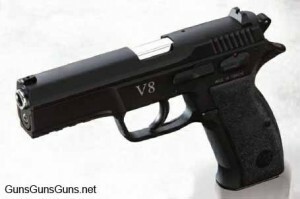 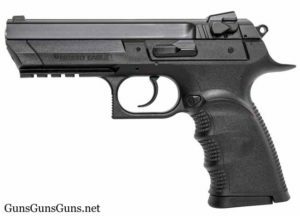 Each pistol’s listing is an excerpt from its main-info page, which contains a full description, specs, more photos, pricing info and sometimes links to external articles and reviews. 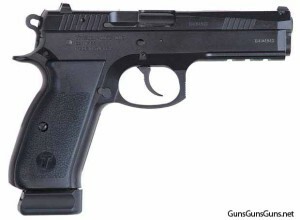 To go to that page, click on the gun’s name or photo. 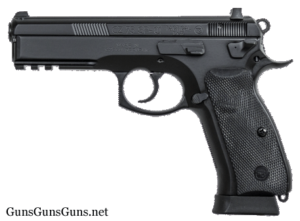 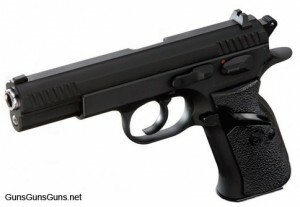 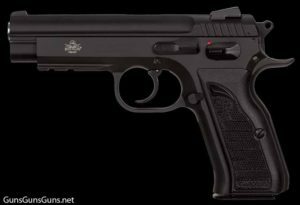 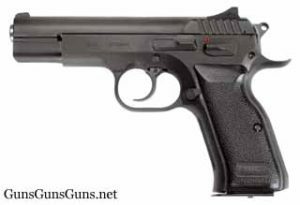 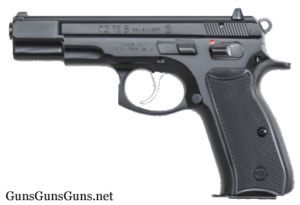 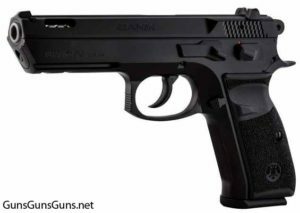 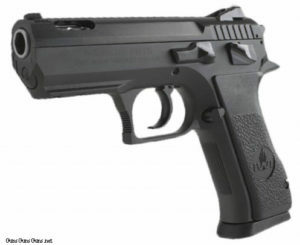 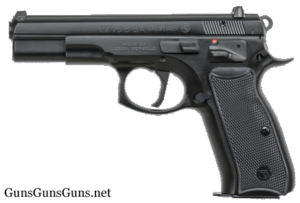 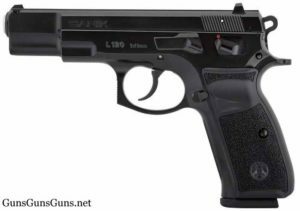 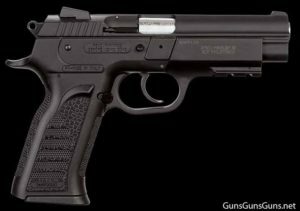 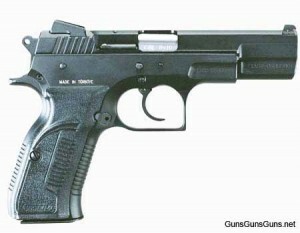 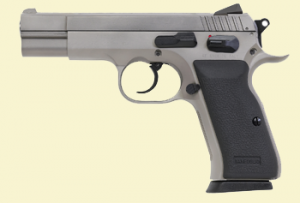 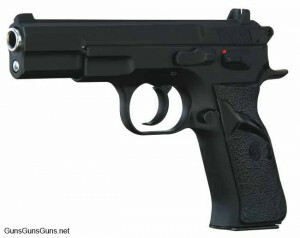 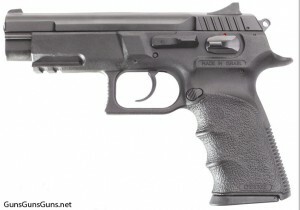 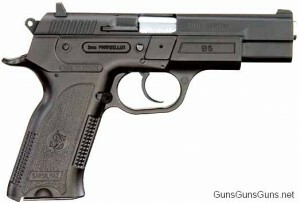 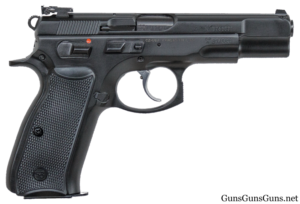 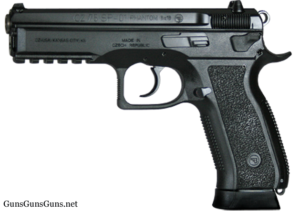 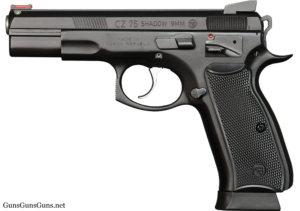 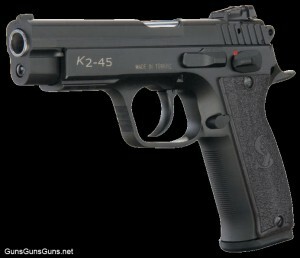 To see all the CZ 75-style pistols produced by one of the companies below, visit its category page on our site. 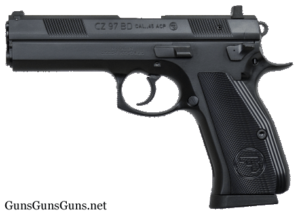 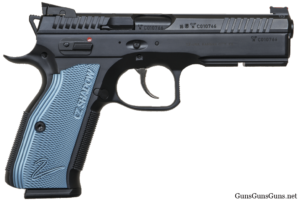 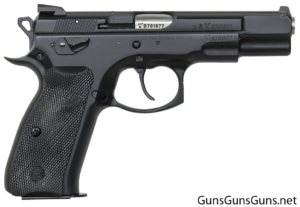 This spreadsheet lists all the below full-size CZ 75s, and each gun’s user rating and specs. 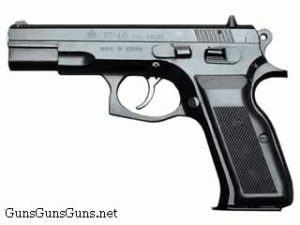 You should be able to purchase most of the below guns new or used in the United States in stores save one, the Chinese-made Norinco, which isn’t imported into the United States. 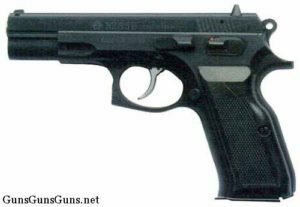 You might be able to find used and new-old-stock Norincos for sale in gun shops and on online gun auction and classifieds sites, and new and used Norincos in Canada. 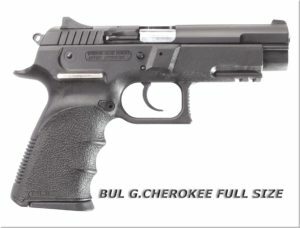 The actual retail prices and price ranges listed below reflect prices for new guns seen recently in online gun stores (aside from the BUL Storm, which I can only find used). 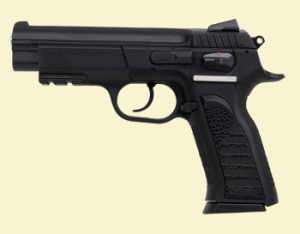 Those numbers certainly aren’t absolute—you might be able to find better (or worse) deals at other online or brick-and-mortar gun shops. 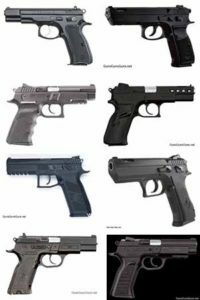 I’ve organized these pistols alphabetically by manufacturer. 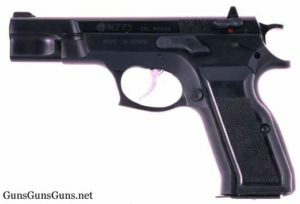 If I’ve failed to include a model, please let me know via the Contact form at this link, or via the Comment form at the bottom of this article. 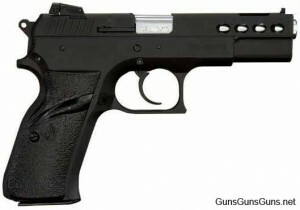 Jed Henson is the president of GunsGunsGuns.net. 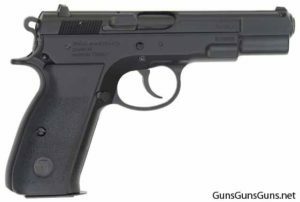 This entry was posted in .22 LR, .38 Super, .40 SW, .45 ACP, $251-$500, $501-$750, $751-$1,000, 10mm, 9mm, 9x21mm, CZ 75, Full size, Semiauto and tagged Handgun Roundups on October 20, 2016 by Jed Henson. 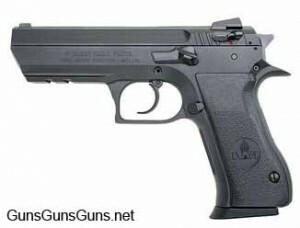 Just added the Shadow 2 to this list. 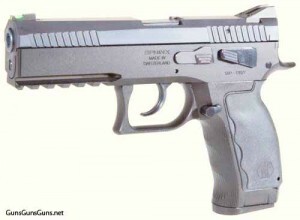 Nice looking gun!